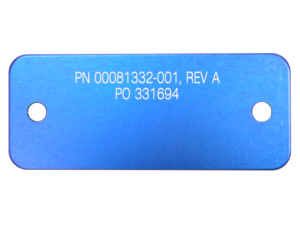 Laser marking can be utilized on almost any product. This process and the development of different frequency lasers place laser marking at the center of product marking technologies. Prime Solutions uses different lasers for “different results”. 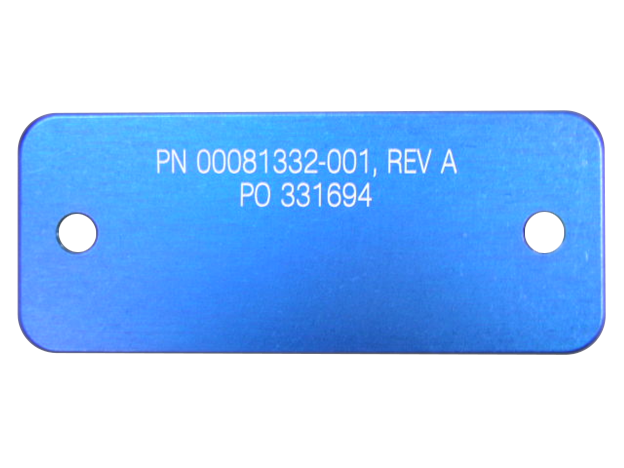 We mark metals such as stainless steel and anodized aluminum with one type of laser. Certain assembled products may be sensitive to a given laser frequency, so we have other systems with different absorption characteristics for marking these packages. We can mark on Gold surfaces if required. Laser marking has the ability to produce variable markings in the form of serialized numbers and it can be incorporated with conventional ink marking to engrave the base substrate material if required. If conventional inks or organic materials will not withstand the requirement and the substrate material will, consider laser marking. The mark is as durable as the material itself.